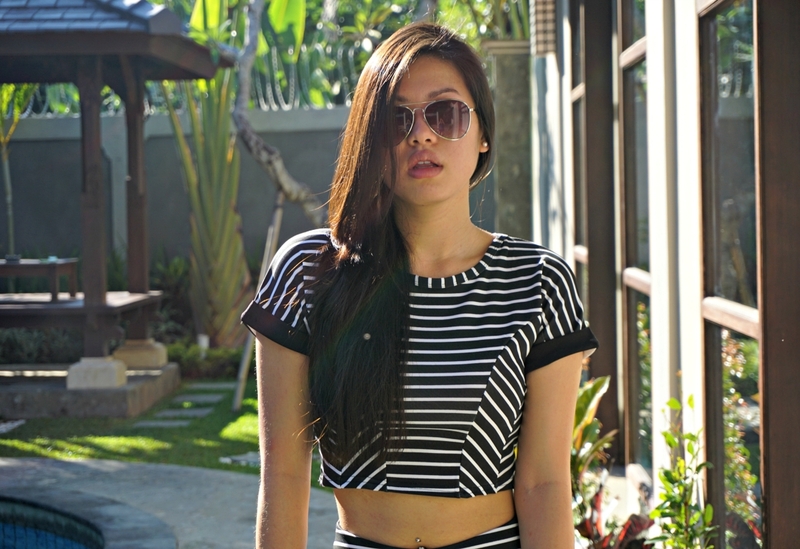 Flash-backing to a few weeks ago in Bali, I was obsessed with this monochrome co-ord set. Normally horizontal stripes on clothing makes me look wider than usual, so I always tend to steer away from those type of prints. What I really like about this set is that the stripes are positioned at different angles, which gives off that illusional edge to make my body look more in proportion. What I also love about this set is that the shorts are high waisted, which meant that it allowed me to eat as much as I wanted on holiday without showing signs of a pot belly. Unless you were looking at me from a side point of view... #awks. This Boohoo co-ord was bought for only £15 and I wore them with my most versatile black sandals. I'm definitely going to wear this again when Summer finally hits! What a gorgeous outfit and the weather looks perfect for it! That outfit looks amazing on you gal! I especially love how it has different angles of stripes in different directions, looks so flattering and totally loving those black sandals too they look so chic. You're such a babe!